So I've been blogging inconsistently for over five years now and I thought it would only be right to introduce my new business here. I'm a graphic designer (by trade, as they say) and it's taken me a long time to find a style and niche in design that I love outside of my day job. I remember doing this face-less style of art in college and loved the technique used and the outcome and honestly, I'm now thinking how ridiculous it is that it took me so long to do this 'properly' and sell my designs. 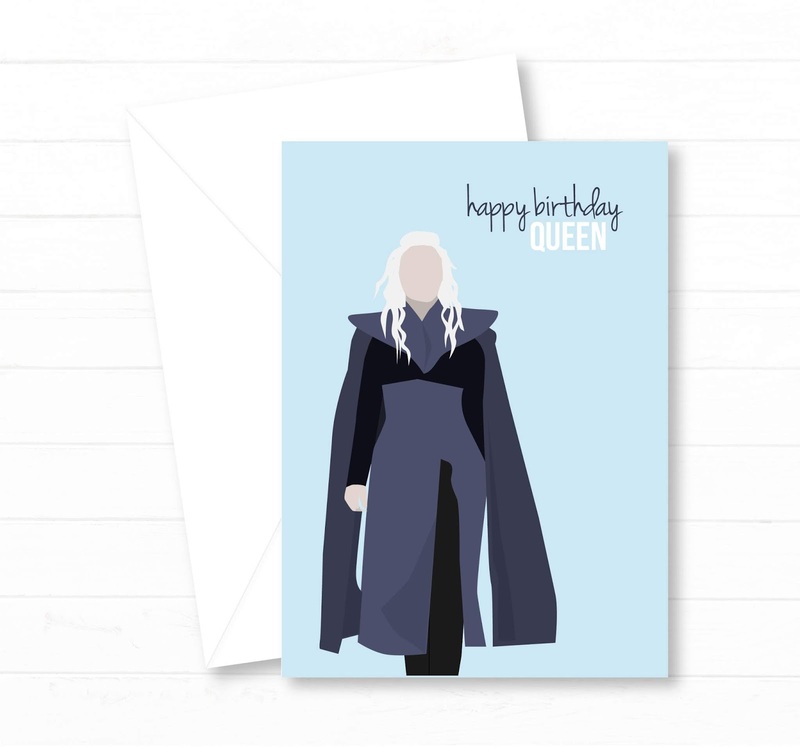 A few times I searched online for bespoke cards for friends, featuring certain music artists or themes and couldn't find anything that I'd like to gift them. At this point I thought: why not design them myself? And so 'Design Strikes' and my first card (Dolly Parton, herself) was born. Since introducing my Etsy across social media to friends and family, I've had so much support from my real ones. It really shows which of the people you know are your true, wonderful, supportive friends; sharing across their stories, retweeting or liking a page on Facebook takes a few seconds but means a lot to a small business. I've had the chance to do some custom designs for some people already which has been a great opportunity to add to my collections, as well as help out a pal in need. Shopping small is something I already love to do, particularly for gifts, as small businesses are more likely to have a niche in what you're after for that special someone. Already it's been a new experience for me to set up a shop on Etsy, have to work with suppliers (for my own work, and not for a client!) and ensure my finances are viable. There's a saying somewhere about the owner of a small biz doing a 'happy dance' every time someone supports their work and I can't express how true that has been for me over the past two weeks! I've been happy dancing quite a lot and ultimately, really enjoying putting my time and effort into Design Strikes. Thanks for reading, if indeed you made it this far. Please share the love if this is something that makes you smile. Liking a post, following my Instagram account or favouriting my Etsy shop would mean the world.